Dr. Kelley LeBlanc holds Advanced Certification in Activator Chiropractic®, a research-based protocol based on neurological reflexes which uses a gentle instrument. Additionally, she is certified in Cox Flexion / Distraction®, which is considered the gold standard for disc injury. With a light, quick force the Activator Chiropractic Instrument restores alignment and normal motion to joints that have become stuck in the wrong position. The Cox Flexion/Distraction Table is used to gently stretch the spine(decompression). This pulls fluid and nutrition into an injured disc to promote healing. Regular decompression keeps discs healthy. Disc Herniation can be healed using the Cox decompression technique. A typical first visit is about 45 minutes and includes history, exam, adjustment and soft-tissue therapy. A regular chiropractic visit lasts about 15 minutes and includes the adjustment plus one therapy. Schedule a Chiropractic visit now. Assisted stretch techniques can be more effective than stretching on your own because the doctor can work with neuromuscular reflexes to allow a deeper stretch. Proper position, stabilization and isolation prevents injury to muscles tendons and ligaments. Combining active and passive stretching allows your body is relax into a fuller, more open stretch. Additional therapies include yoga-based stretch / strengthening exercise instruction for home rehabilitation. Stretch and exercise instruction are performed in conjunction with a chiropractic visit. Schedule your visit now online. Soft tissue injury and dysfunction can be debilitating. Dr. Kelley utilizes several soft tissue therapy methods. Graston Technique® (GT) therapy effectively treats all soft tissue conditions, chronic, acute or post-surgical using specialized tools which allow deeper, more comfortable muscle and connective tissue massage. Kinesotaping is also used, when needed, to improve blood flow, speed healing, support muscles and reduce pain. Massage and kinesotaping is done in conjunction with a chiropractic visit. Schedule your visit now online. Low Level Lasers are widely used in physical therapy, sports medicine and post surgery to increase circulation, reduce inflammation, reduce scarring, improve joint mobility and speed wound healing. Low Level or "Cold" lasers do not heat the tissue, instead they stimulate healing at a cellular level. The frequency of the laser light is absorbed by the cell's mitochondria - the "powerhouse" of the cell - producing more ATP, (cellular energy). Schedule a Low Level Therapy session now. Surgical scars and scars from injury can adhere to muscles, organs, bone and nerves. This can cause restricted range of motion, reduced function, numbness and sometimes pain. Scar Therapy releases the collagen tissue which comprise scars. Typically, the scar is dramatically flattened, softened and more smooth. Normal motion, function and feeling is restored. Scar Therapy is gentle, permanent and takes much less time than you might think. Schedule a Scar Therapy session now. During pregnancy women often suffer from low back, sacroiliac pain or pain at the front of the pelvis. Studies show that chiropractic is safe and effective during pregnancy to relieve pain, improve sleep and balance the pelvis so that baby has the maximum room to turn head down at the right time. Chiropractic has been shown to shorten labor time, reduce labor pain and reduce the risk of C-section. Find out more about prenatal chiropractic from the American Pregnancy Association. Schedule a Prenatal Chiropractic visit now. Research shows that chiropractic is safe and effective for children, even newborn infants. A very light force is required to adjust a child and they typically require fewer visits than an adult. Studies show that chiropractic is effective for ear infections, colic and much more. Parents will be pleased to hear that children who get adjusted often sleep better. Find out more about Pediatric Chiropractic. Schedule a Pediatric Chiropractic visit now. Nutrition effects every cell of the body either positively or negatively. 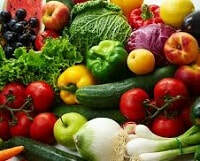 Improvements in diet can prevent or reverse heart disease, diabetes and cancer. Diet can also improve sleep, energy, concentration and mood. Each person has unique dietary needs and sensitivities. A customized approach is needed to ensure success. If you are ready to make a change for the better and are looking for information, guidance and support, schedule a Nutritional Counseling session now. This non-linear approach to healthcare is similar to Tai Chi, Qi Gong, Yoga or Reiki in that it develops awareness of the body's energy "aura". In a 30 minute session Dr. Kelley's connects to the patient's energy and gently moves it. No energy is added or taken away. Effects range from deep relaxation, to physical effects like lower blood cholesterol, to spontaneous healing, to major life shifts toward happiness. ​Schedule an Energy Healthcare session now. We are an out-of-network provider. Please check with your insurance company for your specific coverage. Medicare patients may expect reimbursement for the adjustment portion of their visit. "Research-based healthcare delivered by intuitive hands."